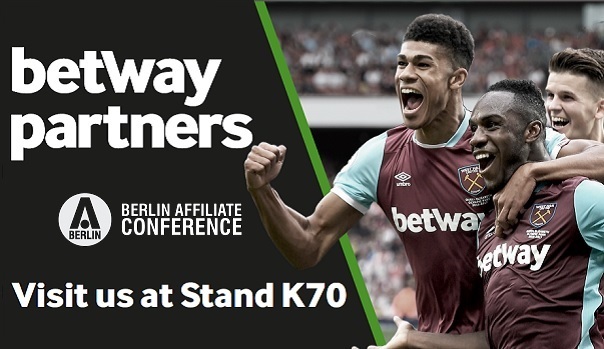 Betway Partners will be attending the Berlin Affiliate Conference 20th – 23rd October 2016. Please feel free to meet up and ask any questions you may have, find out about all the exciting updates and meet our dedicated and highly skilled team of Affiliate Managers for Sports, Casino, eSports, Bingo and Poker. We will be situated at stand K70 so please drop by or alternatively, to book a meeting, contact your affiliate manager or email Betway Partners Support.